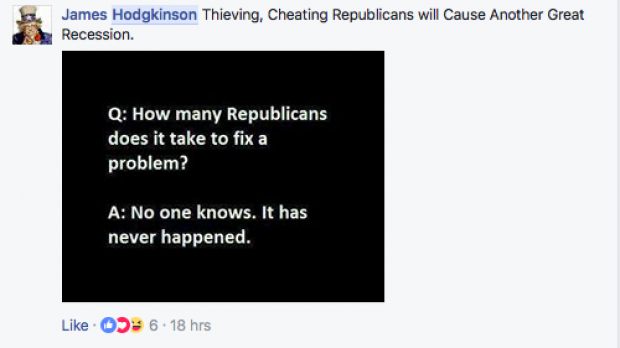 An anti-Republican Facebook group celebrated the GOP baseball practice shooting committed by one of its members. 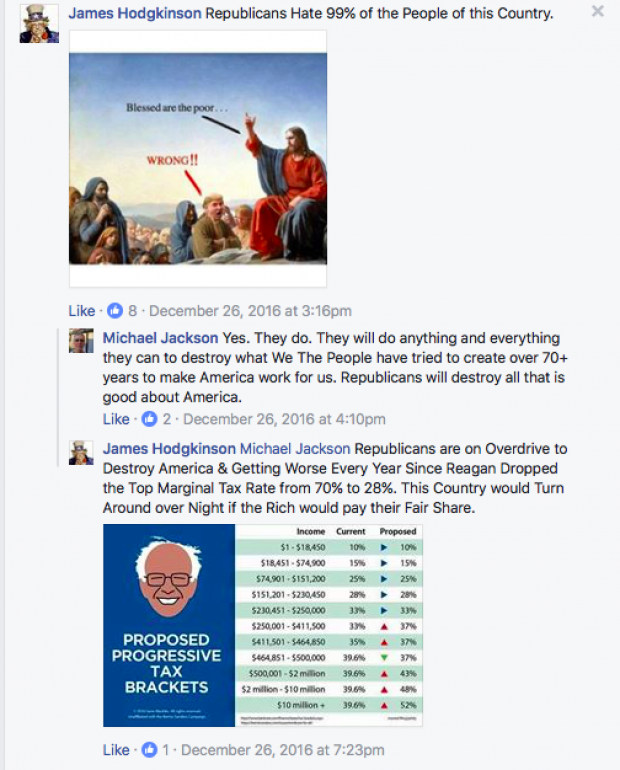 He was a regular commenter in the group, and some members decided to celebrate his disgusting act in a post. 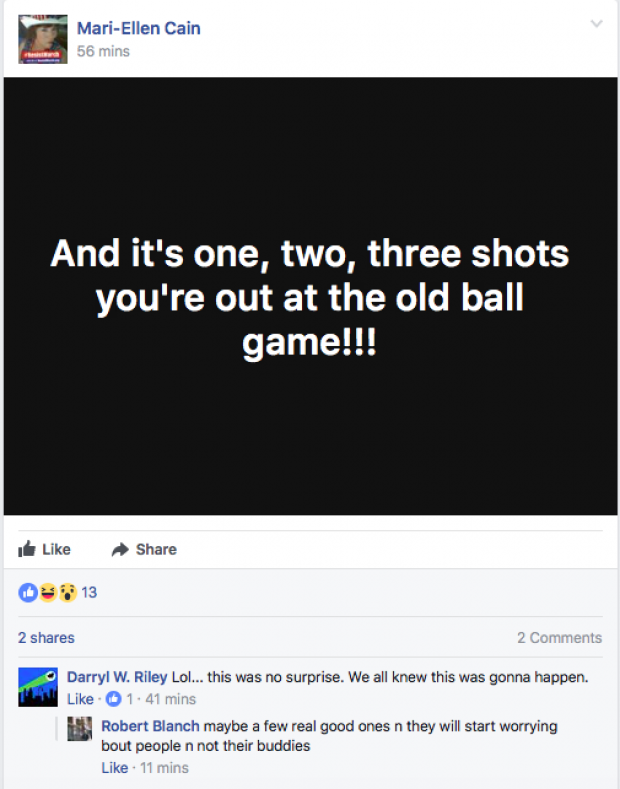 “And it’s one, two, three shots you’re out at the old ball game!! !” member Mari-Ellen Cain wrote. 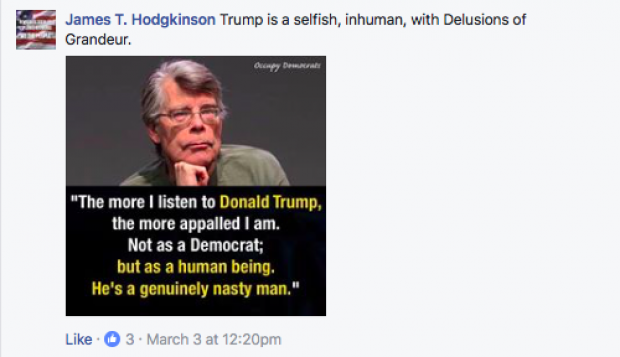 The shooter had a history of commenting anti-Republican memes in the group. 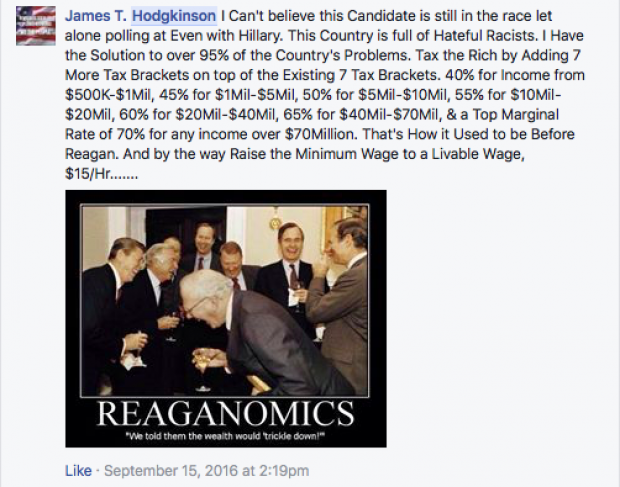 “This country is full of hateful racists,” Hodgkins wrote in the group in September.